The current fee to file a Chapter 7 bankruptcy with our local Gardendale bankruptcy lawyers is $850 to file most Chapter 7 cases in and around Jefferson County. For anyone dealing with an insurmountable amount of debt, our Gardendale bankruptcy lawyers will help you get financial relief and guide you through the bankruptcy process. Once you have your initial phone conversation with our Gardendale bankruptcy lawyer, you can set up an in person consultation at our Birmingham office. Should you choose a phone consultation, then our Gardendale bankruptcy attorneys typically call back the same day and briefly go over your financial situation. If after this consultation it is necessary to meet in person, then we can set up a meeting in our office. To file bankruptcy eventually, we will need some documentation to properly file your case, depending on your particular situation. Our local bankruptcy lawyer will usually need your last two years tax returns, your last six (6) months of income information (usually in the form of your pay stubs), and a list of your creditors whether in the form of bills that you have or a list that you actually write out for us. After going over your situation and determining whether bankruptcy makes sense in your situation, we can discuss moving forward with your filing. The two general types of consumer bankruptcy filings are either Chapter 7 or Chapter 13. A Chapter 13 bankruptcy is usually a five year payment plan, administered through the Bankruptcy Court. This allows you to get caught up on certain important bills like a mortgage or a car payment. The most commonly thought of filing is a Chapter 7 bankruptcy, which is a much quicker and simpler case and usually last about three months or so. A Chapter 7 bankruptcy can eliminate much, if not all, of your unsecured debts relatively quickly. However this type of filing is something you will need to qualify for. Eligibility to file Chapter 7 is based on your household income. To run the test to determine if you qualify we usually need your last six months of pay stubs or other proof of income for the last six months. Once either bankruptcy is filed, you will usually have to go to a Meeting of the Creditors or 341 Hearing. Despite the name, no creditors usually show up for this meeting. At the hearing, there will be a Trustee assigned to your case to ask you a few questions under oath. Your Gardendale bankruptcy lawyer will be there with you for this meeting, and it usually consists of the Trustee in your case asking a few simple questions. 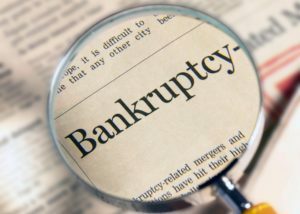 If you live in Gardendale, Fultondale, or the surrounding areas of Jefferson County, then you will likely be filing your bankruptcy in the United States District Court, Northern District of Alabama, Southern Division. If you live in the City of Gardendale or Fultondale, then your bankruptcy hearing will be in downtown Birmingham. Our Gardendale and Fultondale bankruptcy lawyers are currently charging $850 in attorney’s fees for simple, no asset Chapter 7 bankruptcy cases throughout Jefferson County, Alabama. This would include most Chapter 7 filings, but there may be additional costs if there are complex legal issues such as corporate, divorce, or other such issues that would require a significant amount of additional time to handle or are likely to involve hearings. While a Chapter 7 bankruptcy can benefit you by discharging most unsecured debts, sometimes a Chapter 13 bankruptcy is preferable. This type of bankruptcy is more affordable to file, since most of the attorney fees get paid in the five year payment plan, so there are less fees up front. When you call our bankruptcy lawyers in Gardendale and set up a consultation, we will go over your situation and help you figure out which type of bankruptcy is the best option for you. The Harris Firm regularly files bankruptcy cases in the Jefferson County area and are familiar with the local requirements in the U.S. Courts there. Attorney Steven Harris is a member of the Central Alabama Better Business Bureau and the local Birmingham Bar Association, and he is usually the attorney that meets with potential clients in our Birmingham office. If you need some financial relief then give our Gardendale bankruptcy attorney a call today for a consultation in person or over the phone.